Offer guests double protection at all your outdoor events! The best events can be ruined by mosquitoes and sunburns, so take that worry away during by providing attendees with a custom insect repellent with sunscreen! This 2-in-1 spray features an all-natural insect repellent to keep bugs away, with SPF 30 sunscreen to shield skin from harmful UVA/AVB rays. 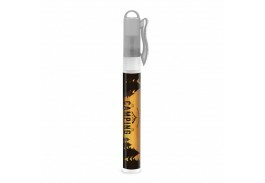 FDA approved, this personalized insect repellent and sunscreen spray is DEET Free, PABA Free. 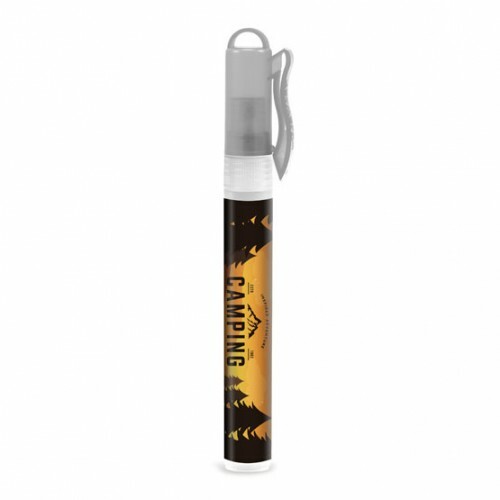 Customized insect repellent is a great way to promote your business while protecting customers and employees at outdoor events, tradeshows and company outings. A full color label is included in the price.